We are an ISO 9001:2008 certified Manufacturer, Exporter and Supplier of wide range of Band Heater, Cartridge Heater, Cast in Heater, Air Heater, Immersion Heater, Strip Heater, Bobbin Heater, Infrared Heater, Air Circulation Oven, etc. Owing to our modern infrastructural base, we are affianced in manufacturing, exporting and supplying a qualitative range of Band Heater, Cartridge Heater, Cast In Heater, Air Heater, Tubular Heater, Immersion Heater, Strip Heater, Bobbin Heater, Infrared Heater, Tracer Heater, Duct Heater, Process Heater, Industrial Sensor, Air Circulation Oven, Electrical Control Panel, etc. Broadly demanded in plastic, rubber, chemicals, pharmaceuticals, engineering, glass, foundry and many more industries, these heaters, ovens and other products are appreciated due to their precise design, reliable usage, smooth functioning, long working life and easy installation. 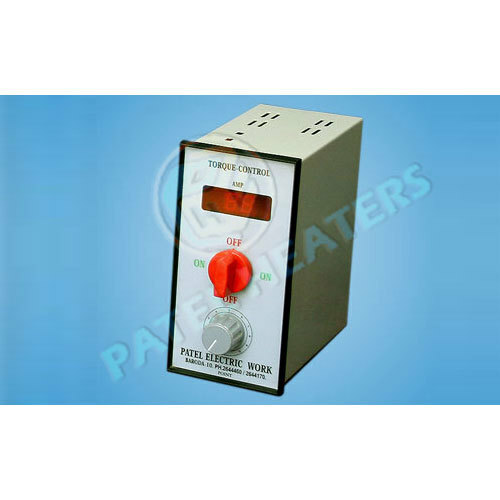 The offered heaters, ovens and other products are manufactured using high grade components and cutting edge technology as per the ISO 9001:2008 set standards. Besides, we offer these heaters, ovens and other products in various specifications at nominal prices.